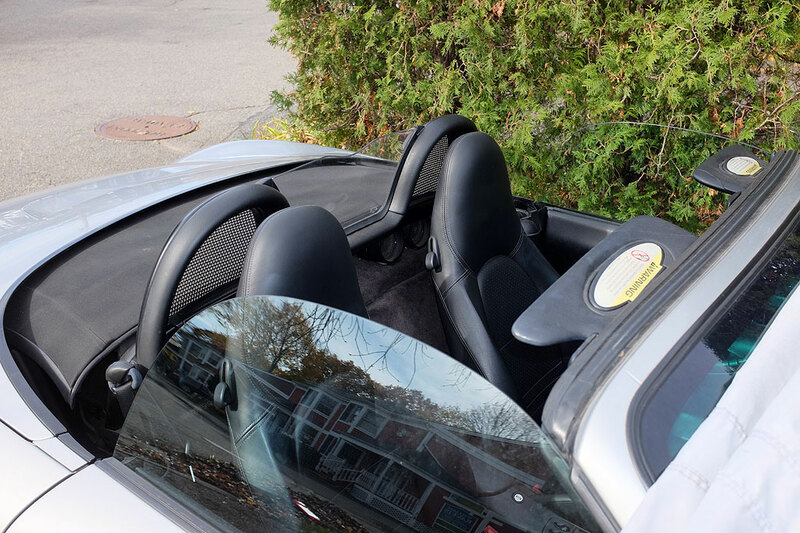 We know that winter is coming, but the folks at the RainyDayGarage like to disregard that inevitability for as long as possible; if the convertible top of the Boxster can go down without causing the rear plastic window to crack (from the cold), it will be retracted. However, mid-November is about as deep into Fall as we dare to push our luck. Every two years we also change various filters (cabin, air, etc), but as we had replaced them last Fall, we skipped that maintenance this time around. Doing our own work is not difficult or time consuming. However, it does require having a place to store everything and a small investment in some basic equipment. Fortunately for us, we have access to plenty of storage. As for tools, we like to go with quality ones as they will not fail during use and will last a long long time. Take the racing jack for example. We purchased the heavy-duty hydralic jack almost ten years ago after a less robust one failed. This jack is maybe more than we need to just change the tires, and it will likely outlast the car. The same is true of the Clore JNC Jump-N-Air. We have had that for almost eight years and it has never failed us. 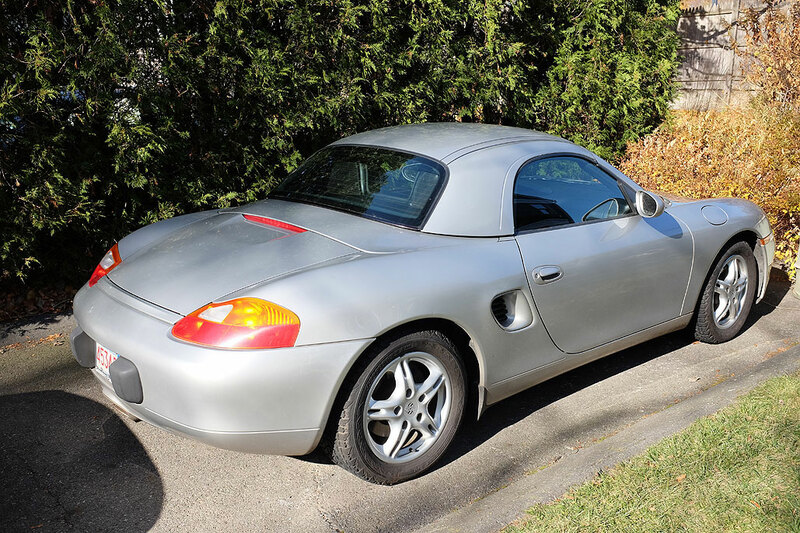 It has saved us on a few cold winter mornings and made the monthly tire-pressure checks a quick and simple task, a task which more folks would likely perform if they realized how convenient it could be. While a good hydraulic jack is necessary for swapping tires, tire totes and a little talked-about tool called a wheel-mounting stud are accessories which can make the task less troublesome. The totes make it easy to carry the tires from the basement out to the car; they also keep the basement free of any particulate matter tires may bring with them (a good thing when canned goods and the like are also kept in the basement). The stud is a threaded rod which is inserted into the hub and makes it easier to align the holes and remount the wheel. It has been a year since we changed the rotors (front, rear). Note the difference between the having and not having rust-prevention coating on the rotor’s hat. While it is mostly cosmetic, given the option, we would recommend choosing rotors WITH the coating. Besides inspecting the Winter tires before putting them on (note the direction of rotation), we also examine the Summer tires closely after taking them off. In particular, we take note of the thread depth, even-ness in wear, and any cuts or abrasions on the side. The Hankook Ventus V12 EVO seem to have fared quite well after two summers of spirited driving. Before stowing away the tires, we typically inflate them to 40 psi.